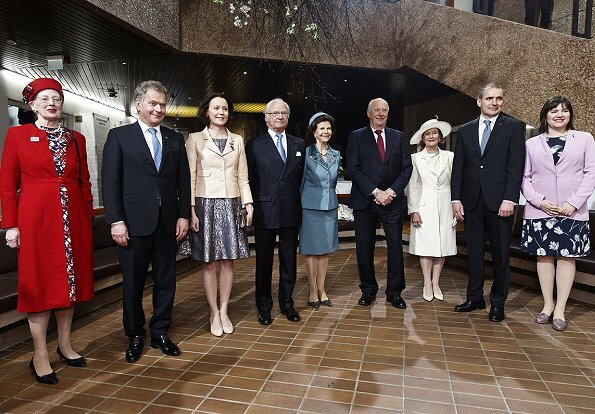 Queen Margretha II of Denmark, King Carl XVI Gustaf and Queen Silvia of Sweden, King Harald V and Queen Sonja of Norway visited the Hanaholmen culture center in Helsinki, Finland. 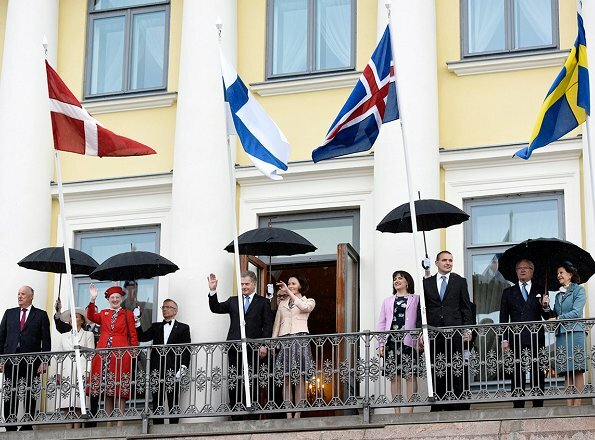 Nordic royals and heads of state are visiting Finland to celebrate the centenary of Finland's independence. 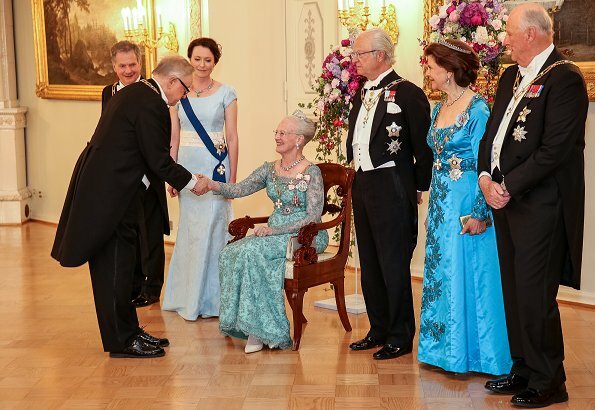 Wow, Queen Margrethe, still a "stunner"! I admire her enthusiasm and her fun to play with colours and exceptional style's and fabrics. Look at all of them: she makes it fun! 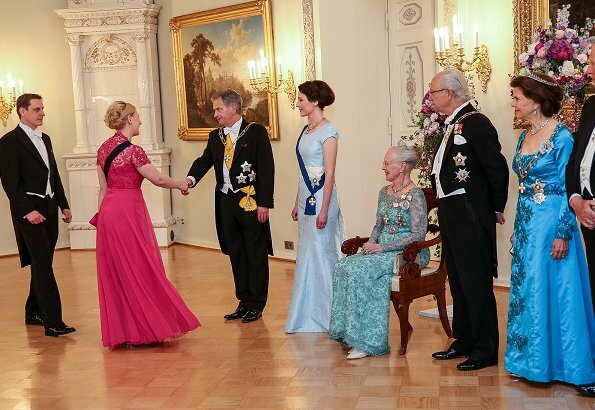 Otherwise, Queen Sonja is always the bestdressed Queen for me. Classic. These two royal artists would love your praise! I agree! Queen Margrethe is stunning and colorfull as always. 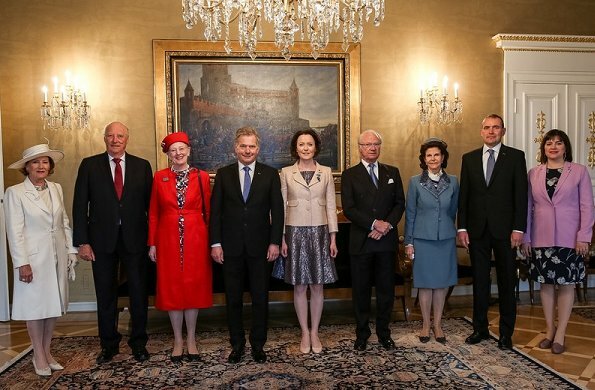 Queen Sonja is the most elegant as nearly always. 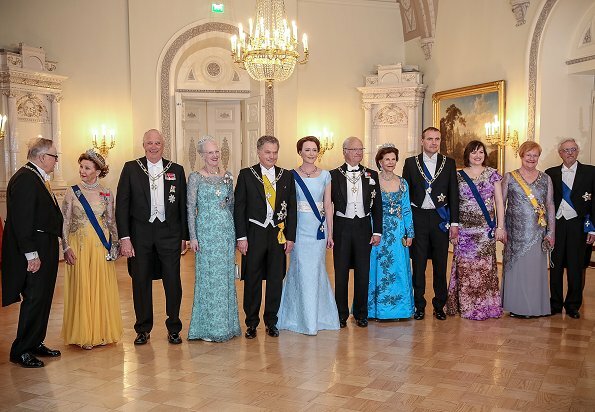 Queen Sonja is the best dressed of them all. In the evening Jenni Haukkio was by far the best looking. Stunning! 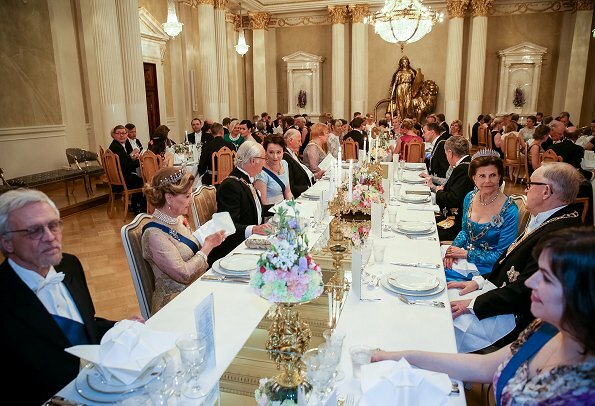 The evening banquet was great. 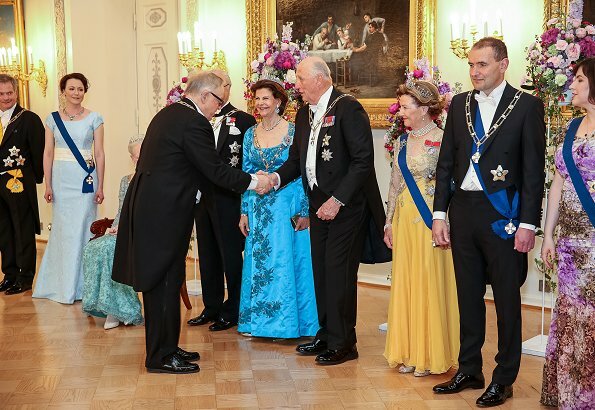 Jenni Haukio did look so stylish with the new aquamarine (Finnish stones) necklace what was given to be used by mrs. presidents in future. 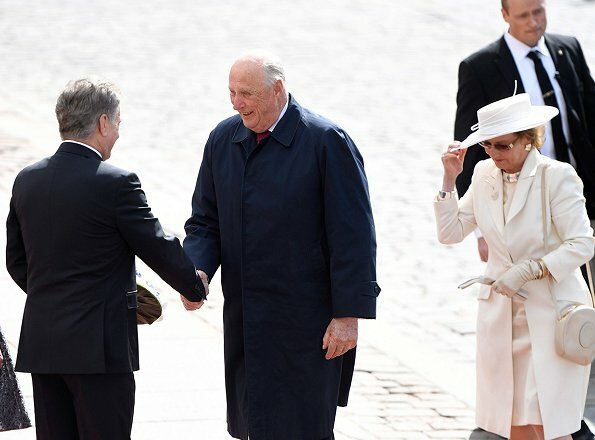 In the first picture, Queen Sonja looks like a nurse. 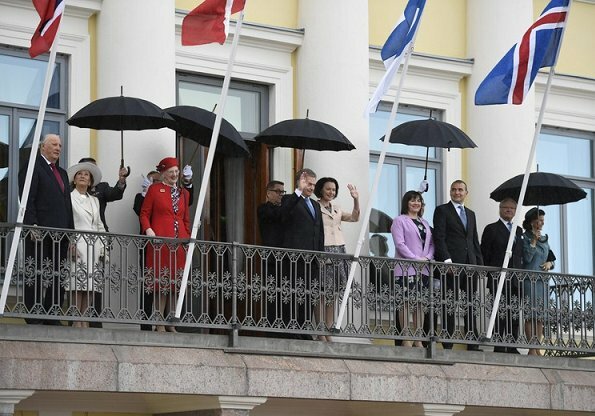 But for the red color of Margrethe and the big hat of Sonja, all look kind of bleh. 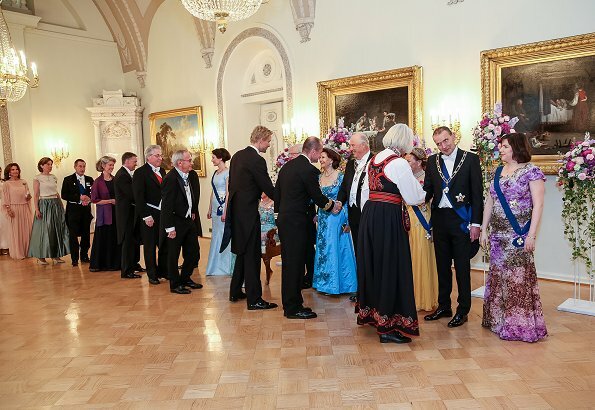 I agree with Mrs M that in the evening the lady in light blue, looks best of all. 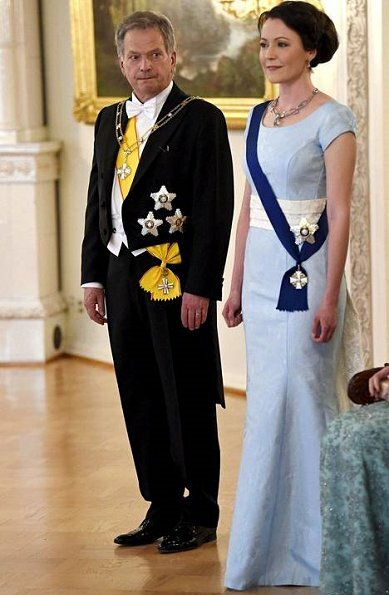 Queen Silvia is always beautiful and often elegant. This time I find her less elegant than the 2 other queens though.